Umicore reinforces its compliance with the European final treatment standard for copper and precious metal bearing WEEE fractions. According to Umicore the audit was conducted by Lloyd’s, a leading independent provider of assurance services across a broad spectrum of standards, schemes and customised assurance programmes. 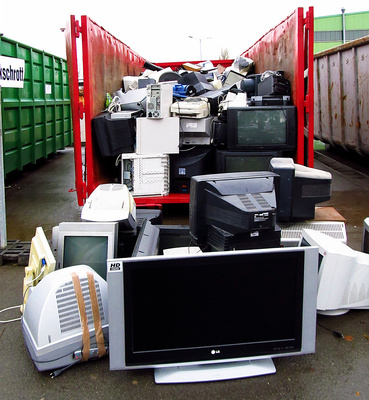 This standard – which is an integral part of a broad set of standards covering various aspects of the WEEE-recycling chain – offers the global e-waste recycling industry a good framework and reference of what real end-processing of a crucial part of the electronic waste stream is. It also should give authorities and producers the guarantee that the often most critical WEEE-fractions – both from an environmental as well as an economical perspective – are dealt with in an efficient and sustainable manner. As such this standard underlines that recycling is a multi-step activity, not limited to collection and pre-processing, but also encompassing end-processing, the stage at which complex end-of-life products are turned into new materials for the manufacturing industry, the company says. 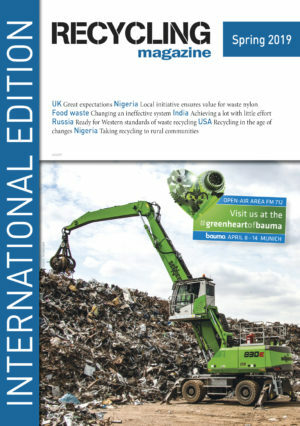 Umicore is convinced that this end-processor standard can contribute to enhancing the overall performance of the recycling chain, creating a more level playing field for e-waste recycling in Europe and beyond, thereby combatting illegal practices or the use of inefficient and harmful technologies. We hence also call upon all relevant stakeholders such as competent authorities and producers to ensure that WEEE is handled by recycling companies which are certified according to the relevant Cenelec standards on WEEE-treatment, the company quotes in the statement. Eriez Europe has opened a brand new 326 square metre manufacturing facility dedicated to rotor manufacturing, light fabrication assembly and additional product line assembly, expanding the existing extensive European manufacturing headquarters in Caerphilly, South Wales. The Bureau of International Recycling (BIR) has launched the Global Recycling Foundation at its World Recycling Convention in London, where it also invited members to become the first cohort of Foundation „Friends“ when they donate.